After a while, tiny little fissures and cracks can appear in drywall and show through the paint. Although minuscule, these little cracks are quite frustrating since they disrupt the perfect, flawless finish of your walls. Most drywall cracks are a result of the old drywall compound dehydrating and shrinking. Fortunately, there are some easy ways to fix drywall cracks, so long as you have the right materials, the right knowledge, and a little experience patching holes in walls. Continue reading to learn how to repair small cracks in drywall, and what to do if feel like the project is too much for you to take on. Check the area of the crack to see if it extends through the paper, or has been pulled away from the wall. If on a straight seam (horizontal or vertical) use your utility knife to carefully pull open the crack to make these determinations. If the drywall tape is still intact, you are dealing with a minor crack. Start your repairs by filling it in with some joint compound. Swipe your drywall trowel across the surface of the crack both ways, until the blade is clean. Hold the trowel at a 70-degree angle for proper application. Allow the compound to fully dry. Once entirely dry, you can sand the surface smooth with 100 or 120 grit sanding sheet. You can also use a sanding sponge or a 150 or 220 grit sand screen. After you have finished sanding, you can wipe the dust away with a microfiber cloth. If the wall was previously painted, you will need to prime and paint using the same colors. If you do not have the same paint, you can have it matched at your local paint shop. Don’t Think You Can Handle the Job Alone? 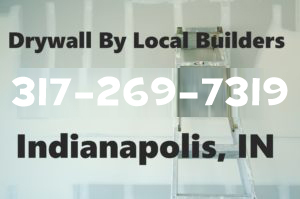 This entry was posted in Drywall Advice and tagged DIY drywall repair, drywall crack repair, drywall repair guide, drywall repair tips, fix drywall cracks, Indianapolis drywall repair, small drywall cracks repair. Bookmark the permalink.